Many people keep a journal or diary when they are young so they can write down their daily thoughts, feelings and events. This habit can be time-consuming, so it is often forgotten. Seniors can benefit from writing because it improves memory. While studying for tests in high school you may have found that by writing facts down you recalled them better. Consider keeping a journal to make use of this phenomenon. Note what you do each day and what you're thinking about. It will soon become natural. Doing puzzles can greatly improve your memory and cognitive thinking skills. 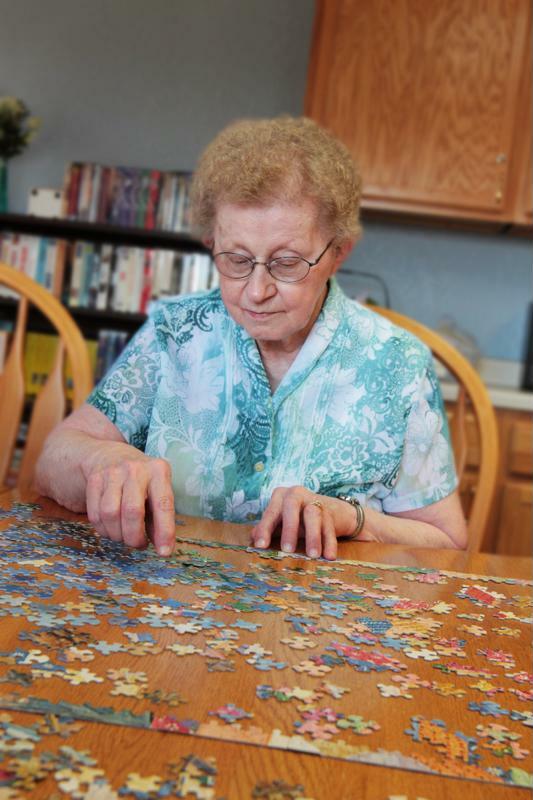 It's not unusual to spot an area for solving jigsaw puzzles at a senior living community. Not only are these games fun to complete, they really work your brain! Noting the shape of each piece and rearranging everything to fit together gives your noggin some exercise. Start with bigger pieces and easier images before moving to the 1000-piece puzzles with lots of tiny details. You'll find these activities are fun to do solo as you enjoy quiet time or in a group so you can have some interesting conversations. Anyone can get into puzzles, so see if your kids or grandchildren want to play. While your school days are probably long gone, that doesn't mean you should stop learning. Harvard University recommends that seniors try new hobbies or learn new skills to keep their minds sharp. You can do this by taking classes! If you're tech savvy, consider taking a massive open online course. MOOCs, as they're often referred to, cover tons of subjects, from gardening and social media to physics and anthropology. You may also attend courses at a local community college or adult learning center. Learning new things will create connections in your brain, improving your overall cognitive functioning. Just like writing something down helps solidify your memory, using your other senses has a similar effect. Think about smell for a moment. Have you ever walked past a laundromat and had the scent of a specific laundry detergent remind you of a loved one? Sight, hearing, taste, touch and smell can all combine to greatly improve the power of your memories. To use all your senses, try to actively engage in every situation. If you're at a family reunion, for example, recall the smell of individual people's perfumes. See their outfits and mannerisms and hear their voices. Remember the touch of their hand on your shoulder or the feel of their silky blouse when you hug. Actively using all your senses improves your memory and may solidify specific memories for years to come.